Lexus ES Performance, Engine, Ride, Handling | What Car? 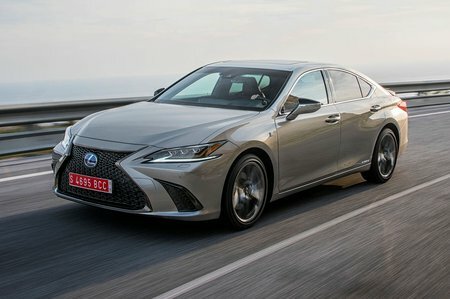 Over the last six generations, the ES has gained a reputation for being one of Lexus’s quietest and most comfortable cars. 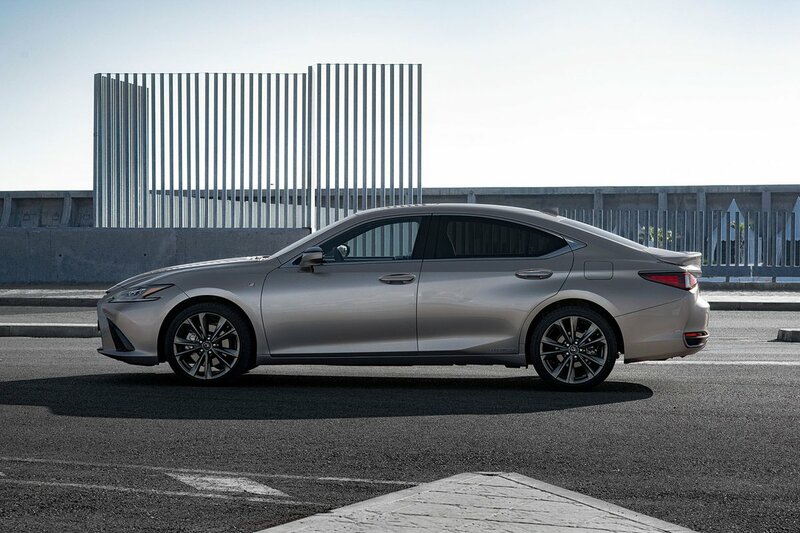 However, Lexus was well aware of how American and European tastes differ so made sure it was tuned to suit buyers on this side of the Atlantic. The car we drove in Takumi grade with 18in wheels proved impressively hushed when cruising. Wind and road noise is well suppressed and the engine is virtually inaudible at constant motorway speeds. The F Sport’s 19in wheels do generate a bit more road roar, but not to the point of it becoming wearisome. Given that entry-level model gets diddy 17 inchers, the least expensive ES could be the quietest of the lot. Comfort is more of a mixed bag. For the most part the cars we’ve driven that have 18in wheels were very agreeable, dealing with undulations very well without ever feeling floaty or out of control. Find a patchy bit of road with a few potholes, though, and the ES struggled a little. Although it never crashes or bangs, you do feel the car shudder, which spoils the feeling of calm. F Sport models get adaptive dampers but the addition of 19in wheels makes it feel slightly more jittery in Comfort mode. Switch to Sport and you’re acutely aware of imperfections while mid-corner bumps upset it more, too. It’s not like the adaptive dampers do much to improve handling, either: the standard setup proves just as capable when the road gets twisty. 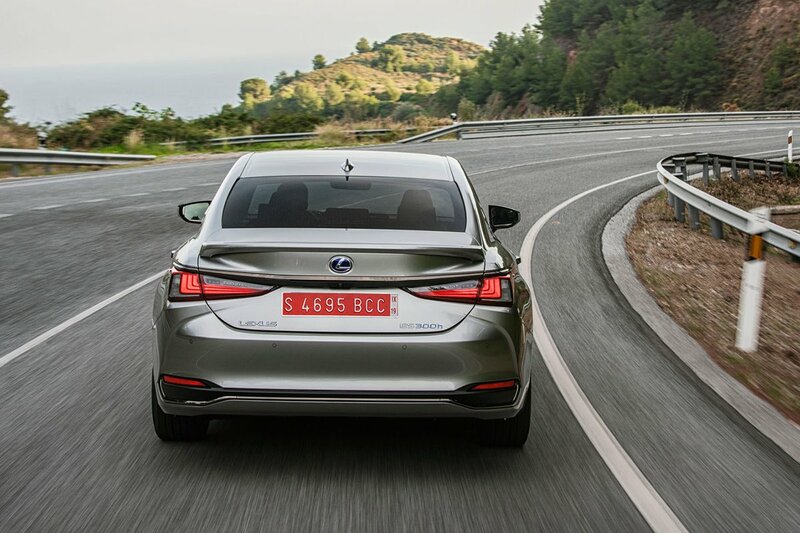 The Lexus is no embarrassment, though; the BMW 5 Series still remains the driver’s choice in this segment, but the ES certainly feels keener than the Volvo S90 and we suspect would give an Audi A6 a run for its money. Not only is the steering precise with a meaty weight that builds confidence, there’s very little body lean and strong levels of grip that are balanced evenly between the front and rear axles. But while it can be hustled along at a surprising rate, you might not want to do that too often. The primary reason that the ES is so much better at a gentle, economical stride than a hurried one isn’t the front-wheel drive chassis; rather, it’s what lurks under the bonnet. Combining a new 2.5-litre four-cylinder petrol unit with a couple of electric motors and a continuously variable transmission, the 300h feels more refined than some of Lexus’ four-cylinder hybrids, but it still revs frantically when you demand full acceleration. It also lacks the mid-range torque that’s so abundant in diesel rivals that makes for a relaxing drive. Use full power and outright acceleration isn’t bad; but rushing it along quickly feels like you’re forcing the ES to do something that’s fundamentally against its nature. The transmission has a Sport mode that can be selected with paddles on the steering wheel, but we found it unconvincing in use. Even when you select a lower ‘gear’ yourself, you’ll find the car doesn’t stay in it for long if you push the accelerator pedal more than half way down. Fortunately, if you rarely need to rush and are more interested in efficiency than excitement, the ES won’t let you down. It’s frugal in normal mode, but gets even better if you flick it into ‘Eco’; this lets the car coast with the engine off in order to save fuel, while other modes soak up your momentum by turning recovered energy into electricity when you ease off the accelerator.